Patience, perseverance, and respect are essential to your Aikido Training. You must work hard to polish these traits and improve your character. You must never compete with or compare yourself to others. Aikido training will make you stronger, but Body, Mind and Spirit must all progress together. Training in Aikido with this intention will improve your daily life by increasing your ability to adapt to change. To accomplish our goals at Shobu Aikido, we emphasize the importance of posture and presence. Your posture informs others of your spirit. Your center (HARA) must also be strongly developed for it is the source of strength in Aikido techniques. Mind and breath awareness are also polished through movements and meditation, while the mind is broadened by discussions and readings. 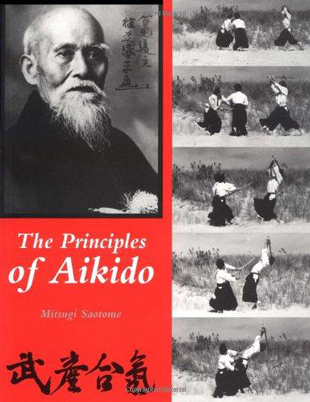 The spirit is strengthened through the practice of Aikido Principles such as Irimi (entering), tenkan (spinning), extending Ki and weapons training. Aikido training is a way (DO) to harmonize your energy (KI) with the energy of your partner and ultimately with the energy of the universe. To accomplish such harmony you will need to have patience with yourself and others, to be disciplined in your commitment and to have respect for yourself and others, the rules of the Dojo and your Sensei (TEACHER).